My friend, Erin, recently made “Zuchinni Boats” for dinner. I’d never had them, and they were dElicious! She is a mighty fine cook. I was inspired by her little boats full of tasty sauteed goodness. So. 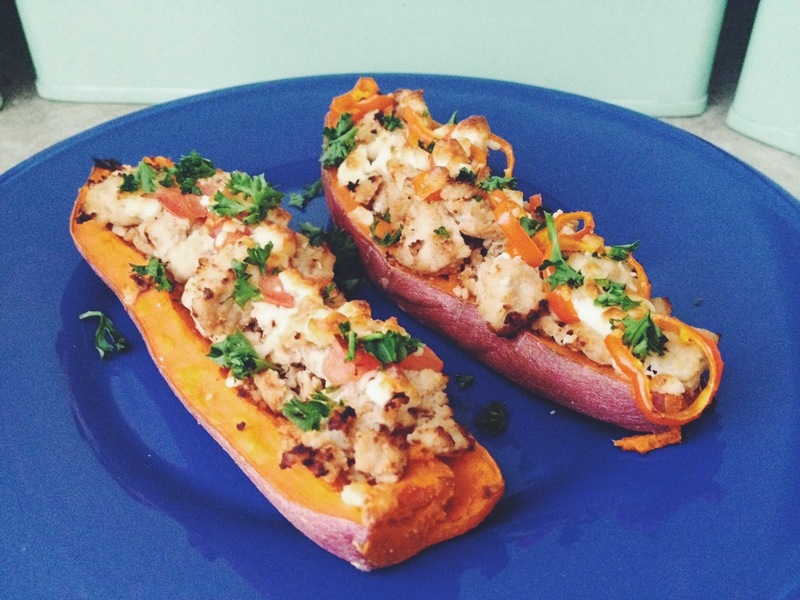 Yesterday, while Andy and I relaxed at home watching the Winter Olympics in Sochi, I prepared for lunch, what I like to call Sweet Potato Canoes. I kid you not, these took about 15 minutes to make. 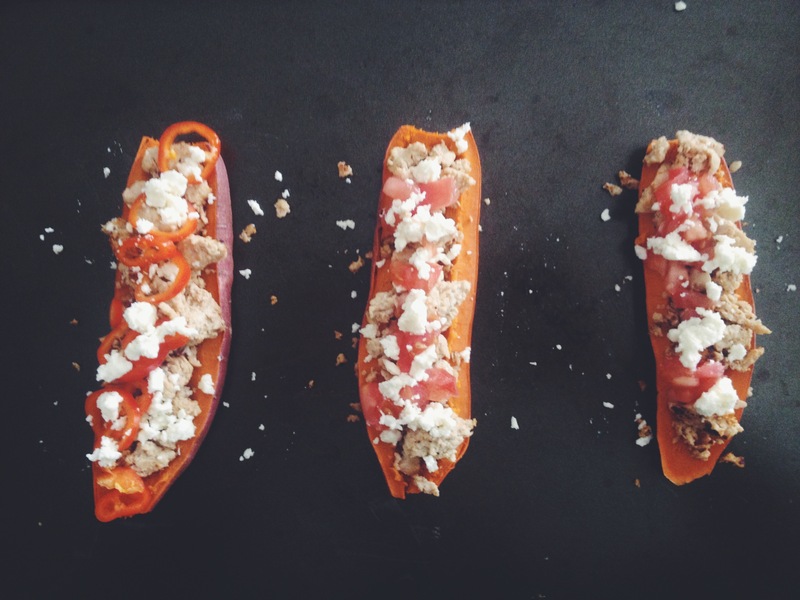 Because who’s got time to cook, when the Olympics are on? Taste it once it’s cooked and add more of each according to preference. Mine turned out a little tangy, sweet and salty, with a really mild heat from the Cholula. 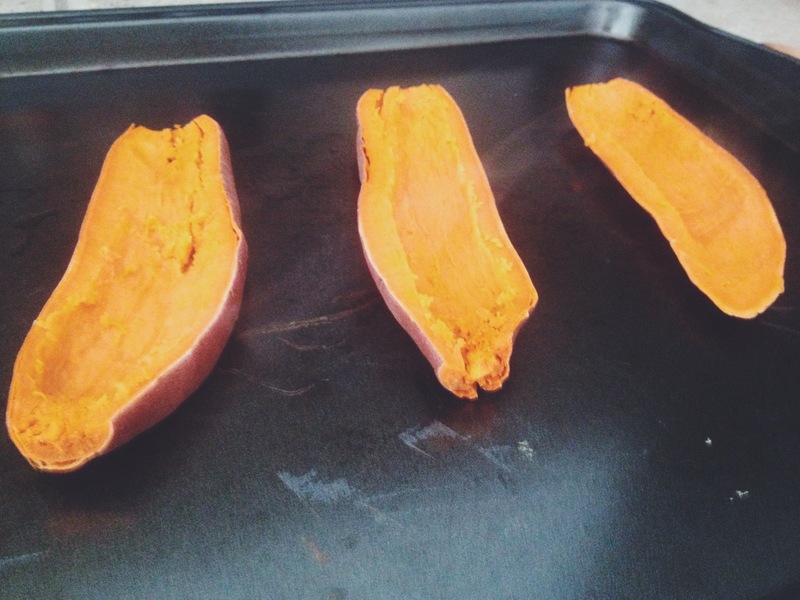 Slice the sweet potatoes in thirds (long way). Scrape a middle “canoe” to fill it in with the goods. I layered it first turkey, then tomato, bell pepper, and cheese. Broil them for 5 minutes to brown the tops. This is the moment when Andy came to the kitchen asking what on earth smelled so good, hah! I’d love to hear if you try them, and what you think! Enjoy the start of a new week, friends!